Sourced from the lovely Our Vintage Home Love Blog here. Check it out. It's full of gorgeous inspiration. 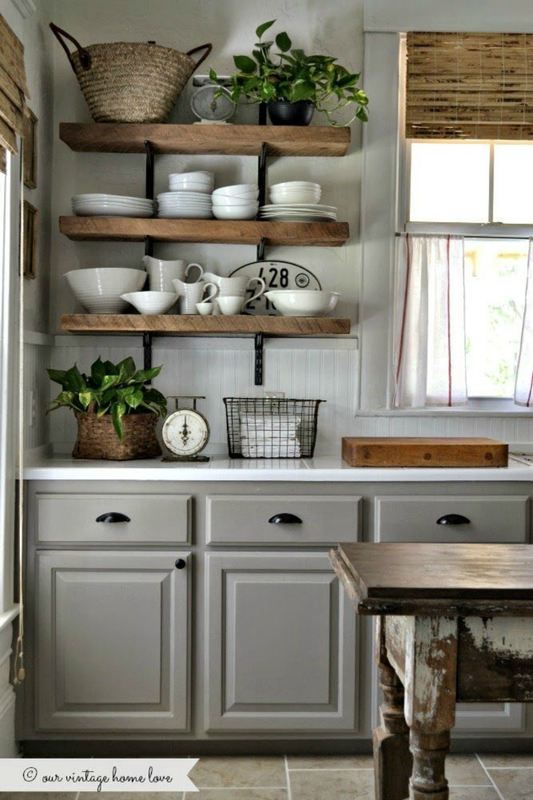 I absolutely love the rustic and utility style of decorating that seems to be the 'in' thing at the moment. I have pinned loads of lovely ideas on my Pinterest board here. I would love to go through our home when Harry and Matthew have finished being 'wrecking balls' and decorate in this style. 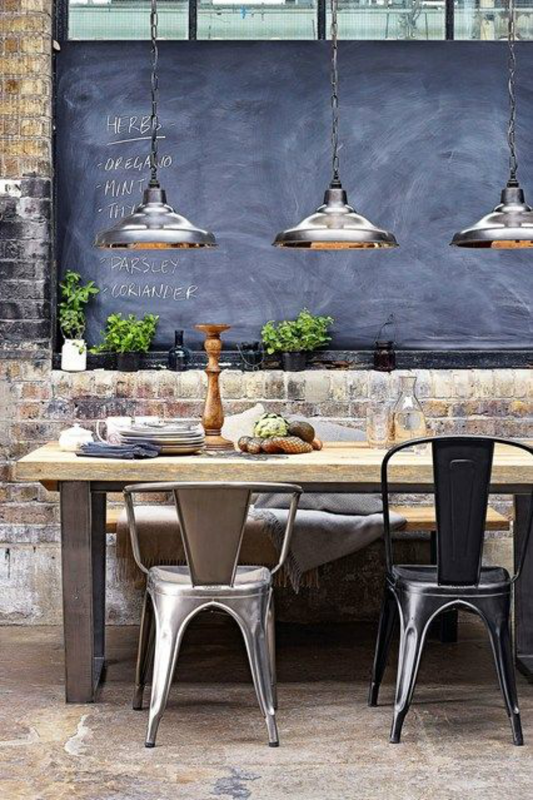 The open shelving in the kitchen, the industrial styled lighting and the exposed brickwork all look fab. 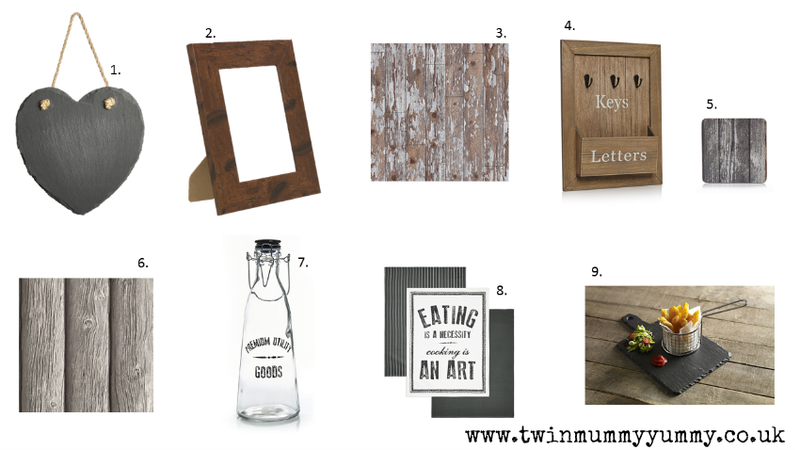 I have been hunting around on the Wilko website for some rustic accessories and this is what I have come up with, for starters. There's loads more. I have been so impressed with Wilko lately, for stationery too. It's fast becoming one of my favourite one stop shops. That wallpaper is my favourite, both styles really. It would dramatically change the look of the room. May have to get some soon and store it away until I can safely use it! Aaah WILKO — how I love it!! It's got such fabulous bargains — it's somewhere I'd always go if I was styling a room and wanted some little knick-knacks!